​As the daughter of a U.S. soldier and a Vietnamese woman who met and married during the Vietnam War, Kim has made Vietnamese heritage and immigration a frequent focus of her writing. ​Kim's writing about Vietnamese heritage ranges from the historical to the deeply personal, including essays about her relationship with her mother and journalistic accounts of Vietnamese immigration and heritage, particularly in and around Arlington, Virginia--the first home away from home for the Vietnamese community in the nation's capital. Kim has presented or spoken about this topic to such organizations as WETA-DC (PBS), DCist, the Arlington Historical Society, Leadership Arlington, Arlington Radio, and American University students. She has also appeared in public television programs and videos about Vietnamese heritage. For Spring 2019, Kim has been named a Virginia Humanities fellow at the Library of Virginia in Richmond, where she is continuing to research, write about, and speak on this topic in support of a book project. Below is a selection of Kim's previous writings and appearances on this topic. Kim authored this fully illustrated, 28-page booklet about Arlington's former "Little Saigon," the first major settlement for Vietnamese refugees in the nation's capital after the war. Kim examines the tensions that persist between her American upbringing and her Vietnamese mother's views in this personal essay for The Refresh Weekly. It begins, "My mother's kitchen is small and worn, like she is...."
Kim's lushly photographed article for Virginia Living magazine takes readers to the Eden Center, a popular Vietnamese food mecca and cultural center in Falls Church, Virginia. This video, produced by WETA, Washington, D.C.'s PBS station, illustrates Kim's relationship with her mother and her own Vietnamese heritage. It garnered more than 21,000 views online. Kim appeared on Arlington Radio's foodie program, "Melting Pot," to talk about the importance of Vietnamese food to creating a sense of home for Vietnamese immigrants and refugees. 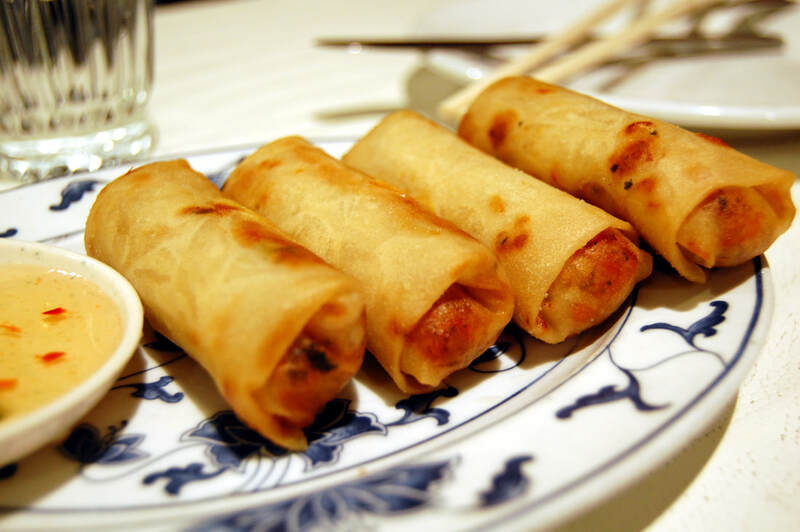 Kim's essay for Ladies Home Journal examines how making spring rolls became a symbol of hope and healing for herself and her mother. It includes a recipe for the delicious fried treats.